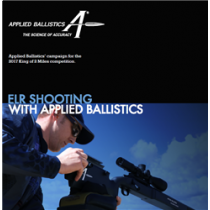 The traditional role of exterior ballistics has been to account for the variables related to bullet flight so accurate fire solutions can be computed. 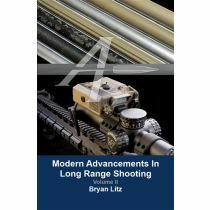 Author Bryan Litz believes that ballistics has more to offer. Weapon Employment Zone (WEZ) analysis is the calculation of hit percentages. 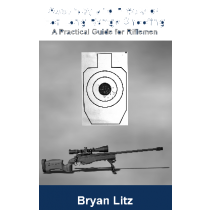 New for this third edition, the subject of WEZ analysis is explored and some enlightening topics are presented regarding the effects of environmental uncertainties on your hit percentage, as well as how the ballistic performance of your rifle and bullet affects hit percentage as well. 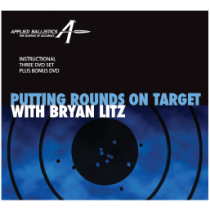 This edition also includes the latest version of the Applied Ballistics Point Mass Solver on CD. Combined with experimentally measured BC’s, this program is capable of modeling extremely accurate trajectories as verified in Chapter 8. 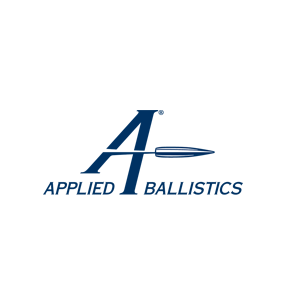 Click here to see the instructions and capabilities of the included ballistics software. 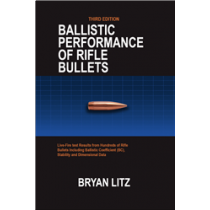 New for this third edition, the subject of WEZ analysis is explored and some enlightening topics are presented regarding the effects of environmental uncertainties on your hit percentage, as well as how the ballistic performance of your rifle and bullet affects hit percentage as well.